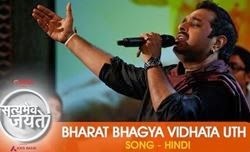 Bharat Bhagya Vidhata Uth Lyrics from Satyamev Jayate season 2, Presented by Aamir Khan. It is taken from the 5th episode based on Criminalization of Politics. Song is sung by Shankar Mahadevan, Lyrics are penned by Suresh Bhatia and Music is done by Ram Sampath.